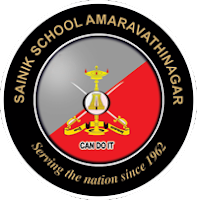 Sainik School, Amaravathinagar Tamilnadu State invites applications for the post of Assistant Master (TGT), Lower Division Clerk (LDC) and Ward Boys.For Asst. Master (TGT) General Science, General Category candidates may also apply. As per Sainik Schools Society, Rules and Regulations, in case of Non-availability of suitable candidates in Reserved category, the vacancy will be filled from the General category. Application must reach within 15 days from the date of publication of this advertisement in Employment News Paper (i.e last date to receive application will be 22/07/2017). Application must reach Principal, Sainik School, Amaravathinagar, Udumalpet Taluk, Tiruppur District, Tamilnadu 642 102 within 15 days from the date of publication of this advertisement in Employment News Paper dated 8th - 14th July 2017 Issue. 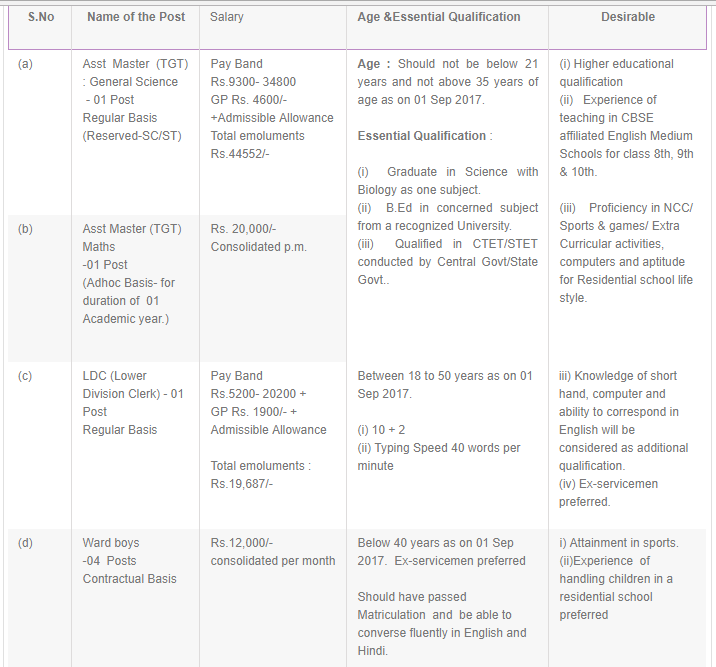 For Further Details visit the website and go through the Official Notification before applying for the post.